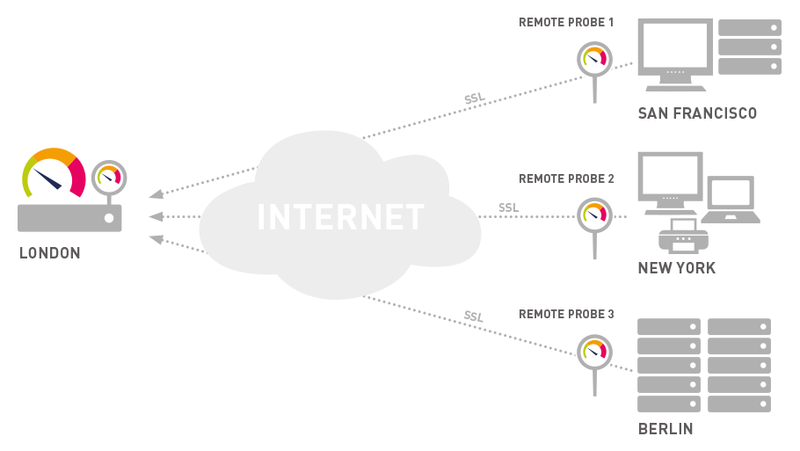 To monitor different sub-networks that are separated by a firewall, to keep an eye on remote locations, or for several other scenarios, you can extend your monitoring by installing one or more Remote Probes. Installing remote probes is easy—you can do it within a few minutes. Please see the sections linked below for further instructions.